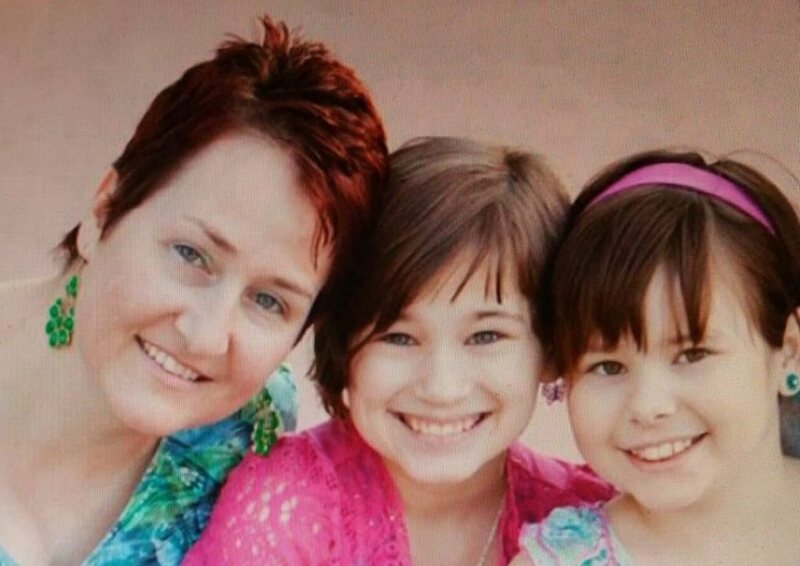 An Arizona court has ruled that the Diegel sisters are now eligible for adoption, and have terminated all of Melissa Diegel's rights to her children. In a recently released video, this mother displays an incredible act of love for the children that CPS will no longer allow her to parent. She pleads for someone good to step up and adopt her children, so that, if they cannot be with their family, they will at least be with good people who will love and care for them. It is a plea that no loving parent should ever be forced to make. Melissa received the shattering news from the courts that Judge Kristin Hoffman has ruled to sever all of her and her ex-husband's parental rights to Kayla and Hannah. It was the day before Christmas Eve. She was devastated, and could not bring herself to make the bitter announcement to her supporters until recently. Health Impact News has covered the Diegel Family story since October of 2014. The Diegel Family story spawned a slew of families contacting Health Impact News with similar stories in Arizona, and around the country, and was the genesis for the birth of MedicalKidnap.com. How awful for this family! I read that it initially started with children's hospital. They are always at the center of these cases across the nation. When is someone going to investigate them and their policies??? There is something definitely going on with them. Every case I have read about medical kidnapping has invoked a children's hospital or one of their affiliates. This case demonstrates well the blatant abuses of families by the family and juvenile court systems and CPS. I have followed this case from another state and it is apparent to me that this is a good mother and that there were no valid reasons to seize these children as well as the lack of due process inherent in the courts that decide family's fates. I think Shawn McMillan got his license to practice in Arizona not too long ago. I hope the Deigals will look into the possibility of suing DCS and any other actors in the seizure, detainment of their children and the loss of their 14th amendment rights to familial association. The Deigals have been struck a practically fatal blow and now I hope they strike back. Sadly having lost parental rights they are now clear to wage a civil rights case against the evil forces that stole their precious girls and did nothing to preserve or restore their family. Please look into Shawn McMillian - he is an expert at fighting these cases. It won't get the children home, but it can help change the course of the legal situation in your state, raise awareness of the corruption, and get the attention of policy makers. It breaks my heart to see anyone loose there children to the state that know full well that they are wrong but dollar signs in there eyes for state and fed funding blinds them GREED is the word, CPS owns the family court system and the judges, lawyers, what a racket, all of them belong in jail. So much for personal rights. The Judge seems very biased, but that isn't surprising given the record of CPS in Arizona. Melissa, I wish I had the words to help, but alas, I don't. All I can do is what I have been doing - following your story and praying for you and your family. I don't understand the way that this country has systematically taken away all rights of parents to parent...and how strangers are allowed to decide our children's fate for us. Stay all over the internet...it is one way that you can reach out to your daughters- I lost my family for 30 years- and had given up hope of ever finding them- your internet presence can prevent that. Set up various ways for them to see you- and never, ever let go of hope. Love, hugs and prayers always. Thank you for publishing this story. The blatant abuse of power that CPS wields on families throughout our nation needs to be exposed and I appreciate all the efforts you put forth in exposing them through your publications.